​Designed for both qualified Counsellors and Psychotherapists and Counselling & Psychotherapy Students, wishing to acquire the knowledge and skills to meet the basic professional competences for counselling under-18s. The purpose of this training is to teach the basic additional competences, knowledge and skills, identified by the main professional bodies as needed to be able to work safely and ethically with clients under-18 years of age. Training is delivered through a combination of lively face to face seminars, discussions, hands-on activities, journaling and private study. The eight required elements cover wider themes such as children’s rights, ethical dilemmas, using therapeutic play and some of the latest insights from neuroscience. Above all, the training will examine the key differences between counselling adults and children. Some elements, such as reflective (1) Ethical and professional practice, permeate all aspects of the training. The main objective is to support participants to feel competent to begin or enhance their work with under-18s. Each session will begin and end promptly, include 2.5 hours’ training and a mid-way break of 30 minutes. 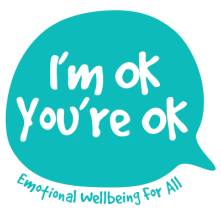 Since a 6.30pm start may not enable everyone to eat beforehand, the longer break is to allow participants to eat a brought supper (cold or microwaved) and also have some informal time to connect with each other and practise self-care, as often neglected by therapists! The CYP Introductory Handbook contains the programme, recommended reading and detailed assessment guidance. Substantial resources linked to each session are shared online in One Drive. A minimum of 2-3 hours private study and journaling for each session is recommended, but the more that you can read around each theme, the more you will gain from the training. 90% attendance is required for a Pass. However, additional unavoidable absence can be made up by submitting an additional written piece of work. Learning is assessed both formatively, through a reflective journal and summatively, through a 3,000-word assignment (assessed at academic level 5) based upon learning from the training sessions and from wider reading, reflection and private study. Neither the BACP nor UKCP currently accredit short courses. However, this training is formally certificated through a leading national awarding body, ABC Awards, and delivered under their Quality Licence scheme. Its content includes and goes beyond all of the BACP Part 1 basic competences for counselling under-18s. With its under-11s curriculum still ‘in the pipeline’, the BACP states that the key differences between working with children (under-11s) and young people (11+) rely upon the professional experience of the trainer. Lisa’s experience of counselling CYP in both Primary and Secondary school settings means that this is included here. Safe and ethical good practice with CYP also requires regular Supervision from someone with sufficient experience of counselling the relevant age-group(s) i.e. under-11s / over-11s. The cost of training has been kept as low and flexible as possible for participants again this year! £400 in full or £440 by Direct Debit instalments (over 8 months). This includes the teaching and learning sessions, essay support, marking and the certificate. Any additional (50 min) personal tutorials, are £40. Once a place offer has been made and accepted, a 20% deposit of £80 is payable to secure your place, leaving a balance of either £320 (in full) or 8 x £45 monthly payments. Please ensure that you download the forms below which apply to you! Lisa’s knowledge is inspiring. Ability to recall theorists, books and resources has been incredible. Standard of teaching was very high. Knowledge and experience was also high quality. The methods of learning were varied so we were kept interested & the One Drive resources are great for future working. It’s a brilliant course. Lisa has a wealth of knowledge, insight and experience which are delivered with a very personal touch. There are excellent resources and much time and thought has gone into providing us with this information. I have learnt a lot, which has also helped me feel more confident in my adult work. I would definitely recommend the course and Lisa as a Tutor and I would be very keen to complete the longer course at some point. THANK YOU! I would definitely recommend this training. Lisa’s depth of knowledge, wealth of experience and obvious passion are really brought to each session and illuminate the material. There are a huge amount of resources and avenue for further study. Thank you and I would love to do the further training one day. This was a very thorough and detailed course on all aspects of working with children. It was beautifully presented with fantastic visual aids, audio-sensory stimulation and useful leads and documents to relevant practical information. I feel hugely enlightened and stimulated to learn even more practical skills on working with children. Lisa, you are such an inspiring and experienced teacher! I would like to do the long course when I am ready! I have found this course to be very comprehensive and feel that it has given me a very good grounding in how to approach working with CYP and also the tools with which to research further if there was a need to. I find Lisa very knowledgeable, very up to date with new research and very approachable.